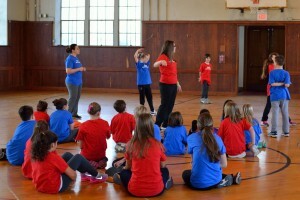 The FASP intramural program is an extension of the regular physical education instructional program, including the development of movement skills, health-related fitness, and personal and social responsibility, conducted after school among students in the same school. It is designed to teach and model positive sportsmanship which empowers each player to play fairly. Our goal is to encourage competitive play without losing sight of respecting each other or having fun. Students will practice fundamental and advanced basketball or soccer skills to enhance their performance in game-like situations. These are skills that are either briefly taught in physical education or not at all because of the difficulty level. Participants will be placed on teams for competition purposes. Intramural play is for instructional and recreational purposes, there is no score-keeping and no championships. Currently, the program is offered at no cost to the student but a permission slip will have to be completed and signed by a parent authorizing student participation.